A new tool to bundle your data lines, wires and headphone wires. Convenient and eye-catching. Customer logos and colours are available. 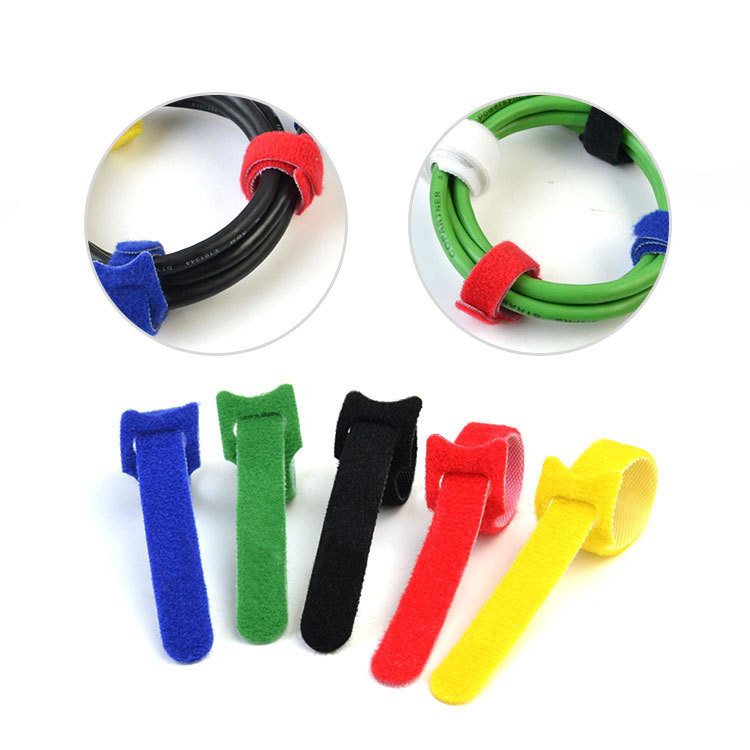 The bandage is made of magic tape, which can help you to tidy up the computer cable, headphone cable and other wires. You can choose a variety of colors. Please contact us for details. Make cable easy to organize and wiring. Using easy-to-adjust and reusable hook-and-loop tie-up to control the clutter of computers and electronic circuits. Welcome to send inquiries! Package: 100 pc/opp bag, 500 pcs/ctn, 5 lbs/ctn.